Wavestack is a Mexican startup which allows musicians from all over the world to store and collaborate on music projects in the cloud. Founded in 2013, it has been tipped by some as one of the new clutch of young Mexican companies to watch. We catch up with co-founder Horeb Gonzalez to learn more. Can you explain Wavestack in your own words? Wavestack lets musicians and producers collaborate and work together without the any physical barriers. [This means] the composing process never ends. In Wavestack musicians can back up their music projects, have them in the cloud anytime, and as well as register the history of collaboration for each music project. The main difference between Wavestack and our main competitors is that collaboration does not depend on the use of any DAW (digital audio workstation). Collaboration is done by file sharing, and not by a plugin on the recording software, or a desktop application. Music colleagues share their projects in the same way they create them. Can you tell me a bit about your music – is this something you still pursue? I am no longer a full time musician, but I still try to invest more or less 20% of my time in playing the drums, and collaborating with my friends. At this moment, I’m working on a side project with my co-founder, Javier [Rosas], on an EP, which we’re planning to release by mid-2015. He plays the guitar and sings, I play the drums, and we collaborate with his brother (using Wavestack of course) who lives in Huatabambo, a six hour car drive from Hermosillo. What is the startup scene in Mexico like? It is developing and growing extremely fast. Mexico City is the biggest hub of tech startups in Mexico, but also Monterrey and Guadalajara are getting huge. Other cities like Hermosillo, Colima and Tijuana are starting to look up to the potential of this kind of business, but not only for generating jobs, and income to the cities, or the extreme potential to increase Mexico’s GDI (gross domestic income), but for the openness of the culture of entrepreneurs. Personally, I think we still have a long way to go. I feel very happy about the support we’d found here in Mexico, but also in Silicon Valley and London, where being a Mexican gives us a plus, because of the good cover that we are getting from the international press on Mexico’s startup ecosystem. 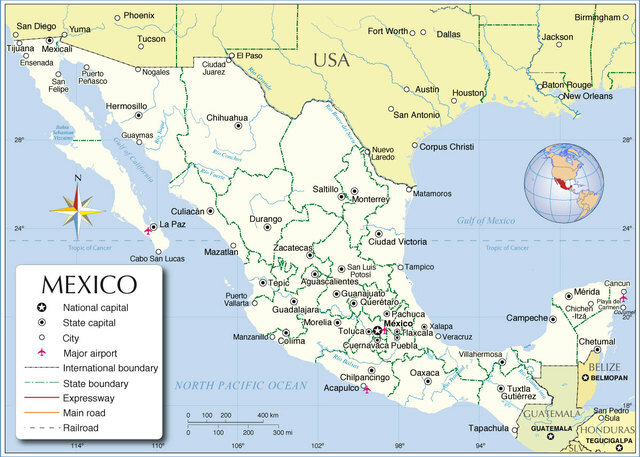 You come from Hermosillo in the north and the capital is Mexico City in the south; is there a big divide between LatAm Mexico and US Mexico? We are based in Hermosillo, Sonora, we were born here, and started working on our startup here. In the beginning, we actually thought Mexico City was a good option for us to grow and have more contact with bands and producers and as well with a larger community of entrepreneurs. This is why we flew there in November 2013 and took an acceleration process from 500 Startups Mexico City. We decided to come back to operate in Hermosillo after that. Users don’t care where you are based, or where you were born. They care about getting their problems solved, in the right way, at the right time, and that’s what we have been doing. [However] we have found our closeness to the US has helped. It is better to have cities like Phoenix, Arizona, (six hours car drive) or Los Angeles (12 hours car drive) close by as this where we go to meet real users and do product testing. [Overall] we have found [it] better to operate here in the North of Mexico - operation costs and intangible assets are also cheaper. Where are most of your customers from? Our user base is divided over three countries: United States with 70%, 15% in Mexico, 10% in the UK and 5% in the rest of the world. How do you think the music scene is likely to develop in Mexico, LatAm and globally? Is there a difference? 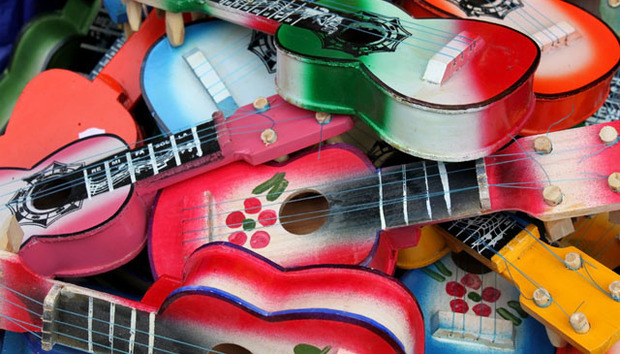 Mexican culture is literally controlled by music, it is the most natural form of expression. It is the way we can talk about our problems, about our failure, and also about success. The music industry in Mexico, is very different from other parts of the world, musicians tend to see music as a hobby and not like a real source of income. What is your view on the connection between creativity and tech? Technology is always evolving because of our desire to simplify life and work. We tend to find ways to make ‘hard work’ effortless - not just to have extra time for doing nothing - but so we can do what we are passionate about. This creates a symbiotic relationship, with creativity on one side depending on new technologies, and technology waiting for new creative ideas. How far has the company come since December 2013? Where is it heading? At a beginning we just had a concept - an idea - a problem we wanted to solve. It was very abstract, but we knew it needed to be solved. [Now] we are launching a major new version of Wavestack, which is the result of all the customer feedback and product testing over the last year. One of our future plans is to raise a funding round, so we can grow our team and develop our app for IOS and Android. Is there anything else you’d like to share with an international tech audience? Many people see music collaboration as a trend - it’s not. It’s a requirement in any composition process.